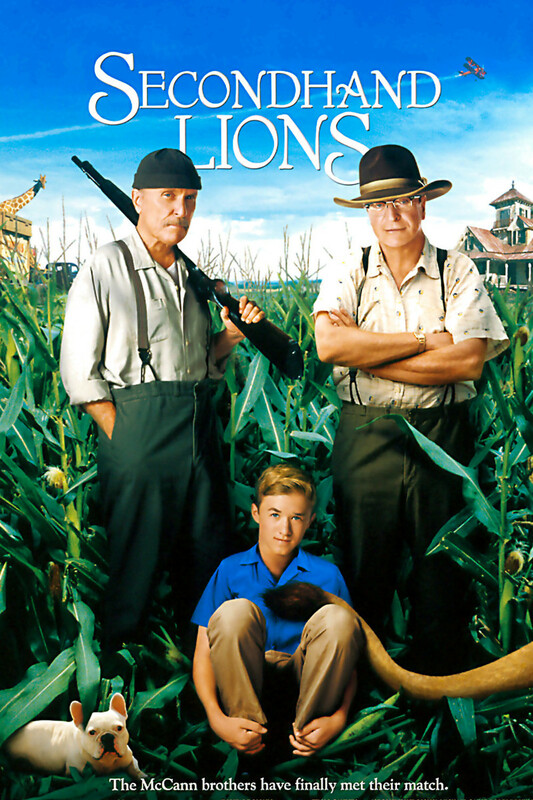 The family drama "Secondhand Lions" centers on Walter, who is shipped off to a ranch in rural Texas to spend the summer with his two eccentric great-uncles, Garth and Hub. While his dishonest mother Mae goes to Las Vegas in search of fortune or a husband, Walter cautiously tends to a retired circus lion his uncles had ordered by mail. The uncles are an intriguing mystery with rumors of bank robbery and organized crime in their past, not to mention their unexplained source of income. Mae returns to steal the rumored money, forcing Walter to make a decision as to what is best for him. Uncle Garth and Uncle Hub, re-invigorated by their love for Walter, create a family that benefits all three of them.